Diversity, Exhilarating Courses and the Varsity Blues! The University of Toronto is Canada´s number one university. The university was founded in 1827 and has evolved into becoming Canada´s best university and the world´s 14th best university. The university currently has 60,595 enrolled students and 2,547 academic staff making this a very big university. The university´s unique education is based off Cambridge University´s and Oxford University´s model, making this a very unique university when compared to other universities within Canada and even its neighbor´s, the United States who share a similar education model. The university is very diverse where it is very easy to spot someone who comes from the same country,and it is definitely a known fact that the university takes advantage of their diversity and promotes it to the whole world. The most predominant international nationalities are China (10,244), India (864), United States (698) and Korea (597). The University of Toronto offers around 700 undergraduate programs in Humanities and Social Sciences, Life Sciences, Physical and Mathematical Sciences, Commerce and Management, Computer Science, Engineering, Kinesiology and Physical Education, Music and Architecture, Education, Nursing, Dentistry, Pharmacy, Law and Medicine. The university excels in Architecture, Computer Science and IT, Mathematics, Medicine, English language, Biology and History. High School students who are looking for a good medical, mathematical or humanitarian university should definitely feature UT as one of their main universities to join. This doesn´t mean however that the university shouldn´t be a choice for students who are looking for a different career such as Law, the college is just as good with their other subjects and this is thanks to its state of the art educational model and staff. The University of Toronto is a very competitive college sports-wise. This can be seen with their home team The Varsity Blues, the athletic teams that represent the university in intercollegiate league matches, with strong ties to gridiron football and ice hockey. The university’s Hart House is an example of the North American student center that simultaneously serves cultural, intellectual and recreational interests. In overall, sports do form a major part of the university of Toronto university lifestyle, and its hockey & football teams formed the pinnacle of the student lifestyle. Social life is also very active in the University of Toronto. Students can be seen organizing social outings regularly and in many cases, there´s frequent student unions with other universities. The requirements are simple yet demanding in order to reserve your place and have an offer. The student is required to have completed 5 IGCSE/GCSE subjects with satisfactory results along with four Advanced Subsidiary passes or at the very least, 3 A2 Level passes. General Paper, General Studies, Critical Thinking, Thinking Skills, and Key Skills are not acceptable courses. Course results taken in A-levels must all be excellent for the student to be considered, however a student who may not have all A´s may still be applicable if they make a good impression, or if they excel in the knowledge of the subject they are willing to study in University of Toronto. For example, if a student who has 3 B´s in his subjects wishing to study physical education and coaching demonstrates exceptional athletic skills and knowledge of coaching can have a spot reserved without having to obtain 3 A´s in A2. The same can also be said for students who, for example choose to take Humanities & Social studies and demonstrates considerable knowledge in History or civilizations despite obtaining one A and two B´s in his A-levels. All in all, the student must meet the requirements in A-levels or at least demonstrate that he/she has the knowledge required t partake in their major if they do not meet the required grading expectations. Students taking IB must have an International Baccalaureate Diploma, including English HL or SL, and if taking majors such as mathematics or engineering must have very good results at Mathematics, Physics and Chemistry in either higher level or standard level for the student to be able to have met the minimum requirements with a predicted score of 27 in order to have a conditional offer given unless if they demonstrate a unique knowledge or skill to be able to receive an exceptional offer. Tuition fees in University of Toronto vary depending on the major, the year of the student and whether it’s a undergraduate or masters degree. The university has 10 Nobel laureates, 3 Turing Award winners, 94 Rhodes Scholars and 1 Fields Medalist all affiliated with the University. The University of Toronto has more than 1,000 clubs and student-run organizations all across their campuses. You will be very surprised that in Norway people are very well educated. In fact, as soon as you arrive in Oslo you will instantly notice that Norwegians speak English very fluently when compared to the other countries in Europe and many speak very clearly as well. This reflects their very high level education system which itself is considered to be the one of the best in Europe let alone in the whole world. People in Norway are also very well mannered and hospitable up to the point where it’s rare to find a Norwegian that is rude or inhospitable. This is why Norway is considered to be the country with the best human development and is very well reflected in their safety record, hospitality, culture, healthcare and state of the art human rights and freedom of the press. When visiting Toronto you will notice a how kind and polite people are. Canada is known for having, If not the most polite people you will ever find in the whole world! People are always ready to assist you if you have any questions and it’s a well known fact that they always tend to apologize for the smallest thing. Canadians are also very educated people and this too is noticeable due to their very advanced educational model in schools and universities. 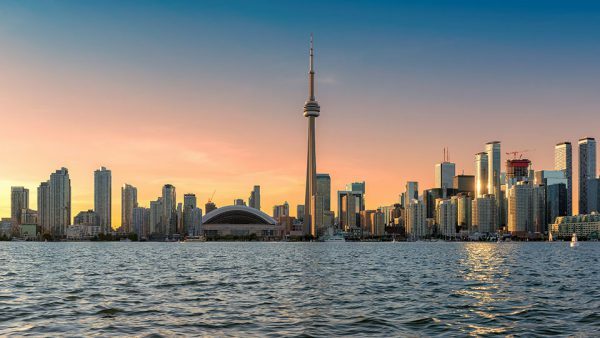 Toronto is often referred to Hollywood 2.0 or Canadian New York and there´s several reasons why. Toronto is a very metropolitan city full of modern buildings such as the Toronto tower. The city is filled with cafeterias, restaurants, bars, cinemas and huge business skyscrapers especially in downtown Toronto, the city center. Just like New York, the city is also full of traffic and as a result, driving can be very dangerous in rush hour and the early bird time periods. Public transport is definitely the safe way to go. Living in Toronto is a privilege, a city full of the most polite people you can ever have the chance of meeting as well as the friendliest folks who will treat you right at home. Many US citizens are jealous of their neighbor’s safety record, and this can be well explained by the simple fact that Canada is one of the countries to have the lowest crime rates! Torontonians are simply the kindest people who will be there to assist you whenever you require it, and the city itself is ultra-modern to the point of you comparing it to New York (see Canadian New York references above). The youth are very sociable and unlike some of their North American Neighbors, they truly tolerate everyone no matter their race, nationality and gender. They are very outgoing and can be seen in nightclubs, Bars and Café’s with friends and social groups. When in Toronto be sure to get to know everyone in the University of Toronto so they would show you around the city and help you get to know the most important places in the city. 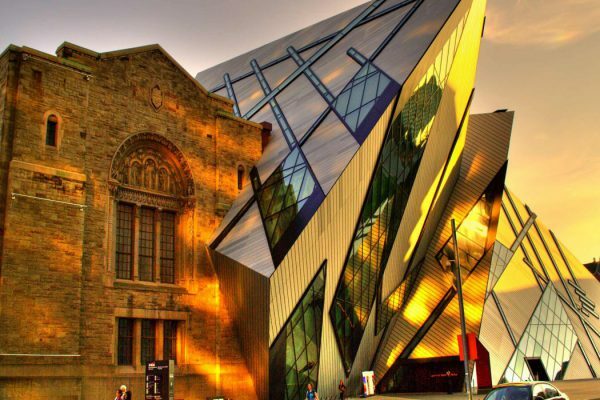 Canada’s oldest natural museum in Toronto and one of the largest museums in North America, the museum has Chinese temple sculptures, Gallery of Korean Art, and costumes and textile collections are some of the best in the world. Kids rush to the dinosaur rooms, Egyptian mummies and Jamaican bat-cave replica exhibitions. 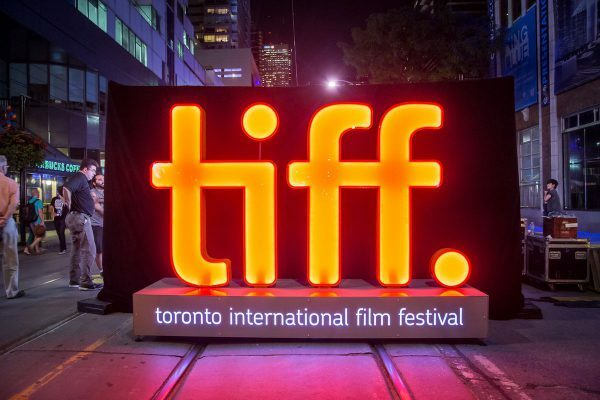 One of Toronto’s most famous events held, this film festival represents Canadian film and movie industry and has amazing cinemas, funky restaurants and bars, opened for everyone to enjoy. Toronto’s most iconic tower and the pinnacle of Canada’s modern architecture. Taking its shape as a needle, this wonder tower’s job is to operate as a function as a communications tower and a tourist site, allowing people to ride the elevator and reach the top for an impressively beautiful view of the city. The Scottish cuisine is very unique due to many influences and changes it has had throughout history. Apart from borrowing many dishes from the English cuisine, such as the Shepherd’s pie or the fisherman’s platter, the Scottish cuisine also has its influences from French cuisine as well. We have the Collop, a dish originating from the escalope (scallop), the cannel originating from cannelle (cinnamon), etc. 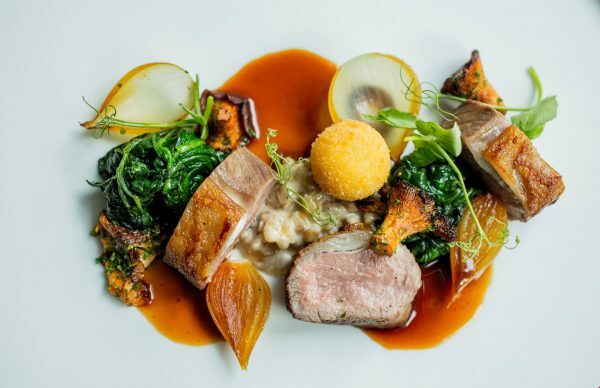 The most iconic dish is the Haggis, a tasty pudding made out of sheep heart, liver or lungs. Fish and Chips form a big part in Scottish cuisine as well, although English by origin, the dish itself became incorporated into the Scottish cuisine, due to its popularity and identity among the Scottish population. In overall the Scottish cuisine is rather unique when compared to its neighbors England, Wales and Cornwall. In fact, due to its influences such as the seafood dishes and burnt cream from France, Shepherd’s pie, Fish and chips as well as the Triffle dessert hailing from the UK and finally, the Scottish Haggis and the Cranachan dessert altogether make the Scottish cuisine very unique and rather special. Norway has without a doubt, one of the tastiest and healthiest cuisines in the whole world. The food in Norway includes wildlife dishes such as deer steaks, sheep meat and seafood such as the salmon fish (which Norway is very known for exporting), cod and the unique bluefish tuna. One of the tastiest meat dishes in Norway is Pinnekjøtt that consists of racks of lamb in brine or sea salt. It is a very popular dish that anyone should give a try and has become a tradition where it is served as a dish in Christmas and New Years meals. One delicacy that anyone should try is the sheep head known as the smalahove. Don´t be pushed away by its appearance because the flavor can be simply described in one word : Delicious! Moose is also a unique delicacy that simply is like no other dish anyone has tried. It is often fried as a steak and despite the price, it is one dish that will remain within your memory and the flavor will stick to your heart for the rest of your life. In Oslo there are plenty of international cuisines that everyone must try. Probably the best Norwegian fine dining experience you can ever have. This restaurant has some of the finest seafood and game food that will satisfy not only the hearts of the Norwegians, but will also enamor people from abroad. Served with Norwegian love and care, this restaurant simply has everything you can ever look for: service, hospitality, coziness and warmth served by the staff. 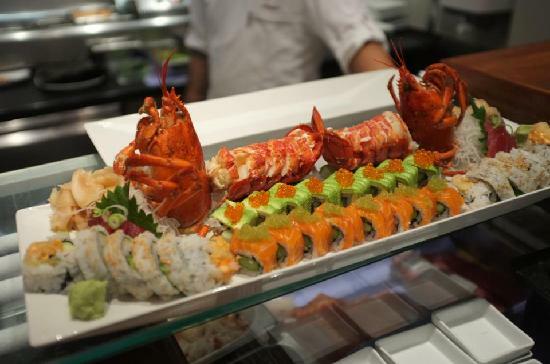 The one sushi place the asian aficionado shouldn´t miss. This restaurant serves one of the tastiest sushi rolls, sashimi slices and maki rolls one can have and the environment is simply like no other. Here you will find your favorite salmon, California rolls, tuna sashimi and any other of your favorite seafood freshly caught from the wild. 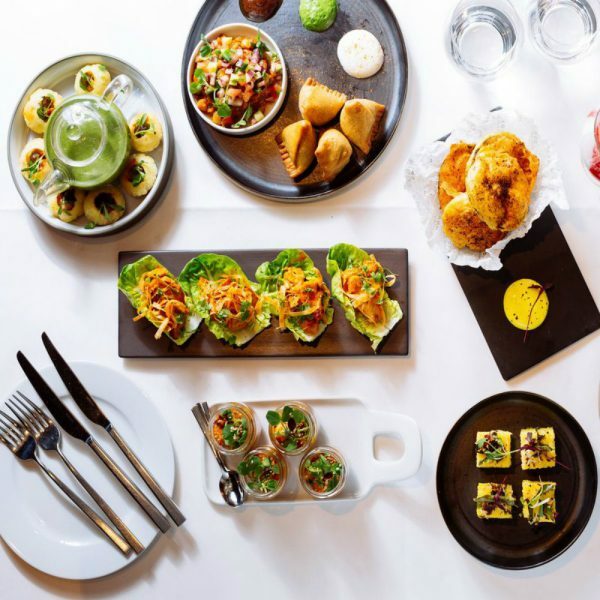 If Indian food is your way to go, then this restaurant is definitely your number one spot. The service is very good, the restaurants interior décor is lean and modern and the staff is simply among the friendliest you will find. This place has some of the finest curries and tandoori dishes in all of Norway. 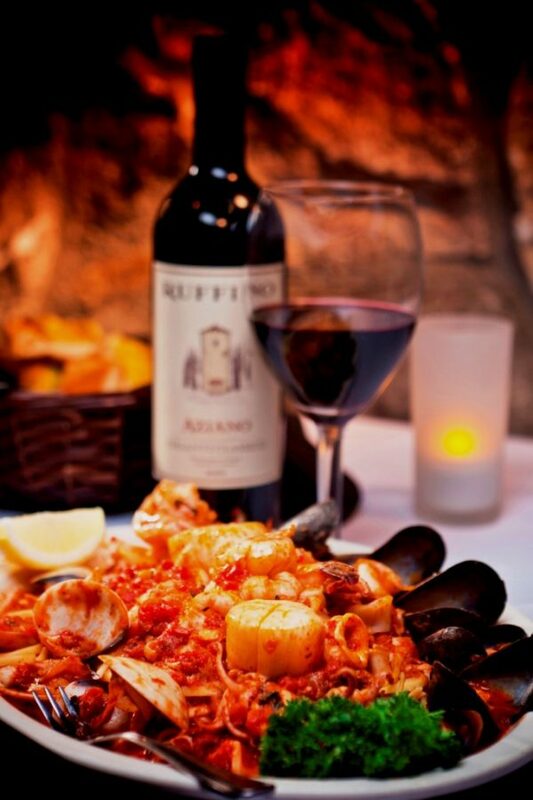 The perfect Italian experience, this restaurant has some of the finest pasta and other Italian dishes that is enough to satisfy even the truest of the truest Italian food lovers. The interior of the restaurant is lively and the food is served by the kindest and most efficient staff around. Wrong name, address, username, phone number, etc. Check the contact points for correcting personal information. Maps of areas and buildings with opening hours.